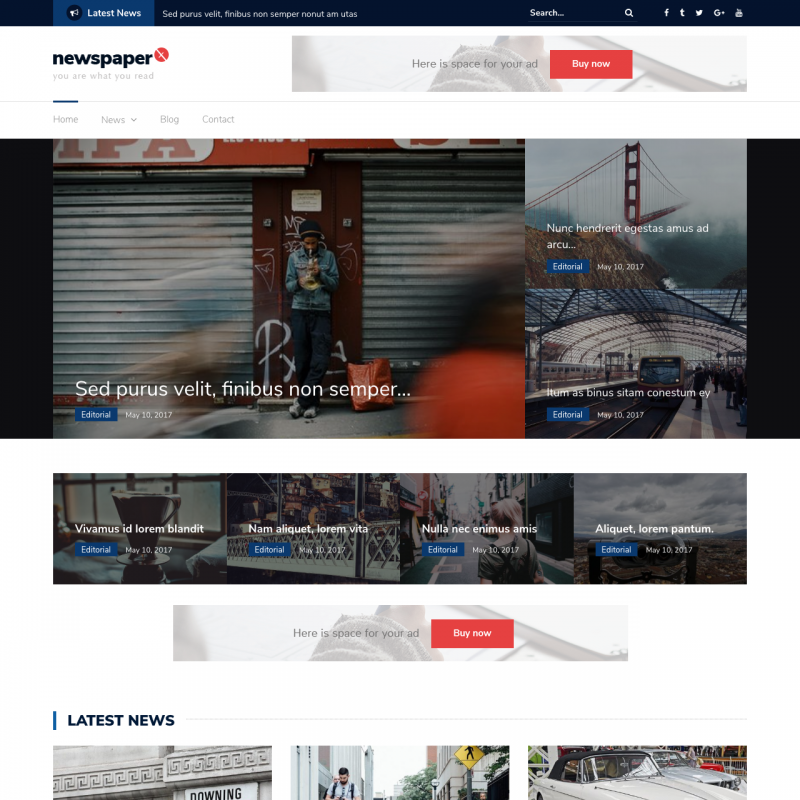 Newspaper X theme translations are maintained by the WordPress community. 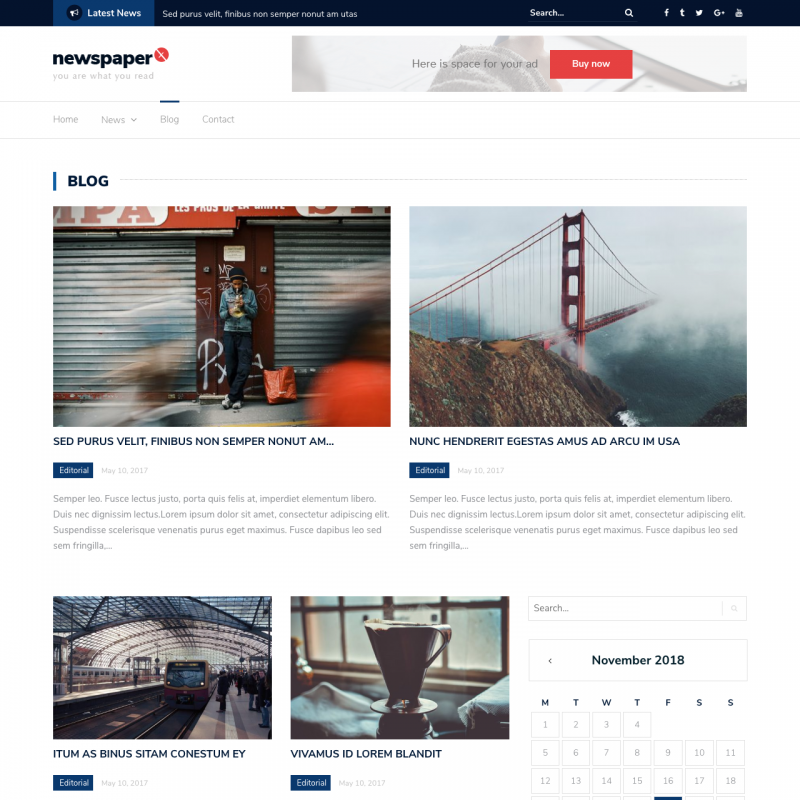 Newspaper X is suitable for any magazine and news websites, travel blogs, technology blogs and many others. 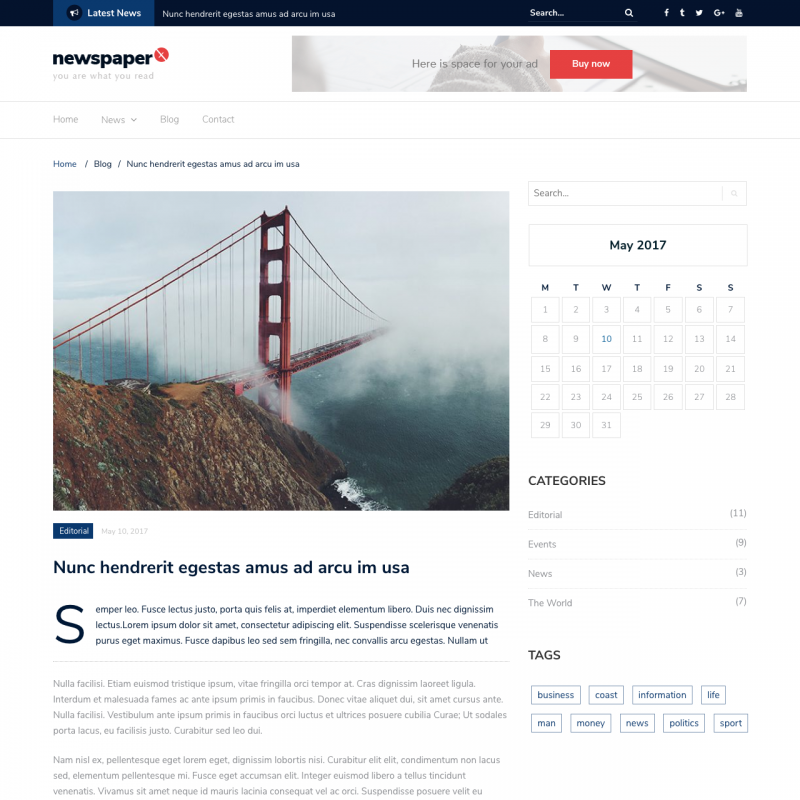 You can enable or disable the news ticker, the top search form, select the number of columns in the footer, enable related posts carousel, customize the background of the header and the site itself, and much more. It is possible to import the demo data. The theme video tutorials are available.